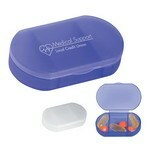 Promote safety at home and elsewhere and show off your company with promotional pill boxes from Promotion Pros. 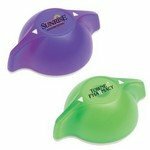 We offer a variety of personalized day and night pill boxes to customized pill cutters, so you're sure to find the promotional pill boxes you want. 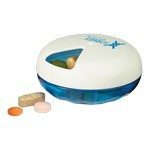 Promo pill boxes let visitors to your booth or table at industry events know exactly who you are and that your company cares. 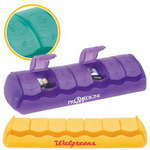 Our medicine bottle opened is great for older patients who've lost some grip strength and our 28-compartment med minder is ideal for those on long-term medications. 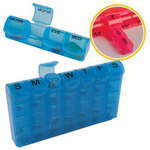 This personalized medicine organizer features daily pill storage and a single logo imprint. In between the hustle and bustle of your day to day activities, it sometime becomes difficult to keep track of what medication to take; without referring to the prescription. 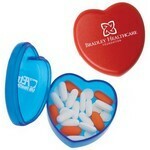 You can be at ease with the compact and colorful 7-Day Pill Box. 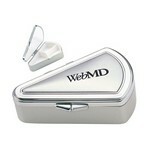 Imprinted medicine boxes are a must-have for the avid traveler. 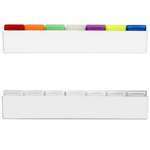 The tight plastic hinges snap open easily and snap closed securely to prevent spilling. 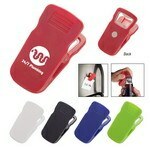 Get this handy key tag Cirrus Lantern Flashlight tool and be ready at all times. 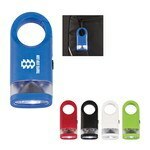 This flashlight features an extra bright LED light for clear visibility and brightness at all times. 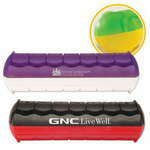 The 3 Compartment Vitamin/Pill Case features easy rotation for exposing three compartments, Customizable with your brand logo.